To assist with the maintenance of your T-Series / P250, a collection of tips and links. PLEASE, understand that the club cannot guarantee the quality of any service providers, only that they are confirmed as being willing to assist you with the maintenance of your vehicle. The below links are to known businesses that can assist you with replacing your headlight lenses etc. Both the T1/2 TS50 fog lights and the T3 TE50/TS50 driving lights are available aftermarket. But for how long? The Comet 450 fog lights are reportedly a direct match to the units supplied to FTE for the T1/2 TS50 fog lights, however the aftermarket units carry a Hello login in the centre. This can be removed. 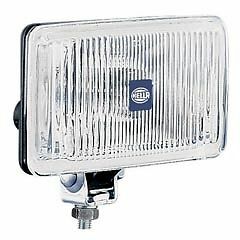 At the time of writing (September 2017), the Hella Comet FF200 driving lights used on the T3 TE50 and TS50 were no longer appearing in the Hella Australia catalogue, but are still readily available on eBay. These are reportedly an exact replacement for the factory fitted Driving light assemblies. These are also available as a Fog light so be careful when ordering. Information is provided below to assist you in finding a match for your car. PLEASE, confirm with a sample to ensure that the information is correct for your application. Speedline 5-spoke flower design ??? ??? Speedline 7-spoke speedline design ??? ??? Tickford 5 spoke alloy wheels PPG Deltron 0042 (determined via colour analysis by PPG rep) ??? Any motor trimmer can do this for you, although one or two have been known to reject the job if a sunroof is fitted. Send an email to webmaster@tseriesclub.org if someone has done a good job for you. Very reasonably priced if you remove and refit the headlining yourself ($150 instead of $280). They’ll help with the last step of removal. If some of your LCD displays segments are faded or have completely failed, a repair can be attempted. Due to the strong colours used on these wheels, they will never be as durable as a (boring) black wheel. Try Drew from LeatherFX to see if he is able to refurbish your wheel. These lines sometimes wear through on the crossmember and leak. A couple of quotes for Speedflow engine cooler hoses – one option in black/nomex and the other in steel. Fittings are black as per the pic although red/blue is available if anyone wants it. Pirtek Springvale has these quotes in their system and will happily post so no problem there – just call them to confirm pricing and quote the relevant quote number. Fitment has been confirmed. They’re a nice hose. It’s worth using a thin rag to protect the fitting at the cooler end from marking when tightening. “Yes, we can rebuild this balancer as we still have the sample from when we used to make them new for tickford. Cost $270 plus gst & freight. Our address is 5 Say St Wagga Wagga N.S.W 2650. Maintenance Manager | DAYCO Australia Pty Ltd.